Yeah, yeah we know: we’re publishing this list of our favorite technology toys and gadgets in December. What a coincidence, right? Well, it’s partially because the idea came to us while reading holiday gift guides, but it’s really meant to be an all-year-round kind of list to help others discover some geeky/cool lifestyle products we love, ranging from RVing to general travel, or just everyday life – no matter who you are, or what you do! Living in a little over 200 square feet, we don’t have room to own much stuff anymore, so you’d better believe it’s all carefully selected to make our lives easier and serve a good purpose..or better yet, several purposes! We hope that by sharing some of our tried and tested favorite things it’ll save others some research time, plus pay forward some of the great advice bestowed upon us! One of our favorite (and most needed!) 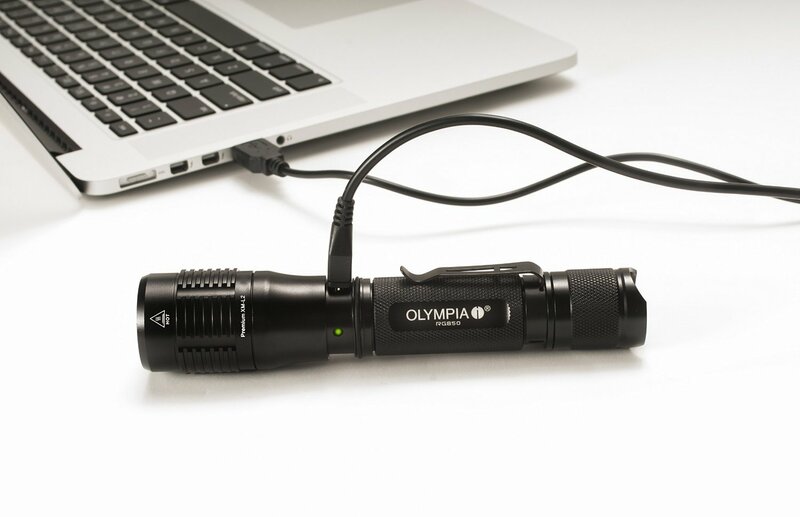 items this year was a higher-quality rechargeable flashlight. I don’t know why it took us this long to finally break down and get one that’s not sold in a two-pack at Walmart, but we did, and now want to kick ourselves for not doing it sooner! There are lots of choices out there with a variety of features and price points, but we went with the moderately priced and well-equipped Olympia RG850 . Our first impression was that it’s SOLID: built out of aircraft-grade aluminum, waterproof to 2 meters, impact resistant to 1.5 meters (we haven’t tested that yet) and BRIGHT. Like really damn bright – 850 lumens with multiple settings (high, medium, low, strobe, SOS) and it remembers your last setting so you don’t have to cycle through every time. We’ve loved it for camping so far because it’s more like a mini flood light than a flashlight. Very rarely when we need more light outside do we need it to be highly focused and directional – we usually want to light up a big area, like when we hear something go bump in the night! We might recommend you get something less intense for in-home use or somewhere that you might accidentally blind someone with it, because this baby is strong. The only negatives we’ve seen are that it takes quite a while to charge (but the battery lasts a long time, so if you’re heading out to camp, hunt, work, or on an outdoor adventure just make sure it’s topped off first) and the lithium-ion battery seems to be proprietary, so if it needs replacing someday it may be expensive. Overall though, we’re enamored. It’s so small that it’s easy to fit in any bag or pocket, the included holster is perfect to clip on the inside hand rail right by the RV steps for when we take the dogs out at night or right on their leashes, it’s so bright we could actually use it to signal help or blind someone in an emergency, and we haven’t broken it yet – which is more than we can say for any other flashlight we’ve had for a few months! We found ourselves in an RV in downright frigid Kentucky during much of November and December, going through propane like nobody’s business, we knew it was time to buy a good electric space heater. The dilemma we faced was what do we do with it in the summer? We don’t have an extra closet or garage kickin’ around to store off-season items, and we hate donating and re-buying things just because of weather changes. After some serious deliberation, we decided to give the Dyson Hot + Cool Heater/Table Fan a trial. Costco had the best deal (about $70 cheaper than Amazon) so we put our membership to good use (it’s also great to have for tires and RV batteries, if you didn’t know!). We unfortunately just found out that this exact fan was recalled, after ours overheated and stopped working one day like the recall predicted, but Costco exchanged it more than a month after purchase with no questions asked. If we’d had it longer, Dyson still would have replaced it free of charge. We’ve heard great things about their support and that they even send free replacement parts outside of the warranty period sometimes. Only time will tell how our heater 2.0 holds up, but with a two-year warranty and great customer service so far, we’re willing to take a chance on this (pretty pricey) heater that takes up half as much space as a separate space heater and fan would, stays cool to the touch (important with pets roaming and sleeping around it and very little floor space for human feet too), isn’t a fire or carbon monoxide hazard, and has useful high-tech touches like a remote control plus digital thermostat that shuts the fan off when it reaches the desired temperature (because I especially don’t want to get out of bed to change the settings when it’s cold!). It’s also super easy to just wipe clean any dust and hair, it doesn’t smell like burning dust when you first turn the heater on, and it’s far more aesthetically pleasing than a traditional space heater or fan – meaning we don’t mind having it sitting out on the floor or on a table! It looks like an artistic sculpture instead of a big ugly box. We have a persistent problem of running out of juice for our various mobile devices while away from the RV or car. Either we forgot to plug in our phones before leaving, or we relied heavily on battery-sucking GPS while out and about, or we were using a device as a hotspot while working somewhere away from home. Any of those things will kill a battery faster than you can say “Can I mooch a power outlet?”. Neither of us likes adding bulk to our phones in the form of a battery-extending case, so we decided to go for an external battery charger that fits in a small bag (that we’re inevitably always carrying anyway). We read lots of reviews and went with the Anker® Astro E4 High Capacity 13000mAh 3A Fast Portable Charger . We’ve only had it about a week, but this thing is a lifesaver already! It comes in various battery capacities and physical sizes. Ours fits perfectly in a small bag and charges an iPhone about 5 times (just right to share between us on a long day out and about) or can juice up an iPad once. It’s also really fast at doing its charging thang! 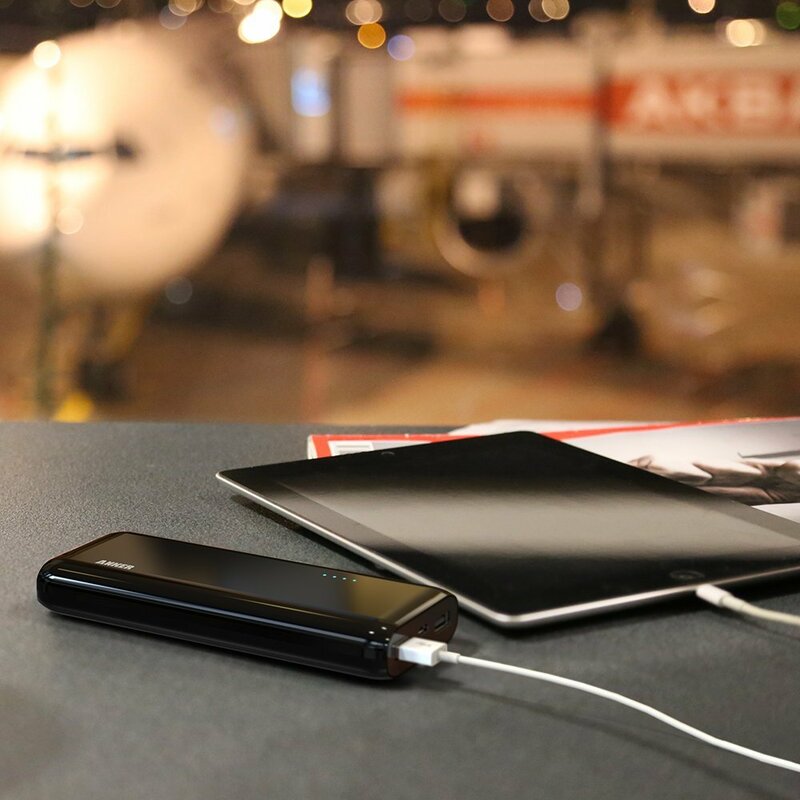 No more being leashed to an outlet while sitting on the floor at the airport, crawling around under tables at coffee shops or restaurants searching for a place to plug in, or turning your device’s screen down to 10% brightness all day. An added bonus for RVers: it also conserves your RV’s battery power while boondocking. Use it to charge your devices at night when power’s at a premium, then recharge the battery pack by day with your solar, generator, shore power, or chassis power. This was the best kitchen purchase we made last year! 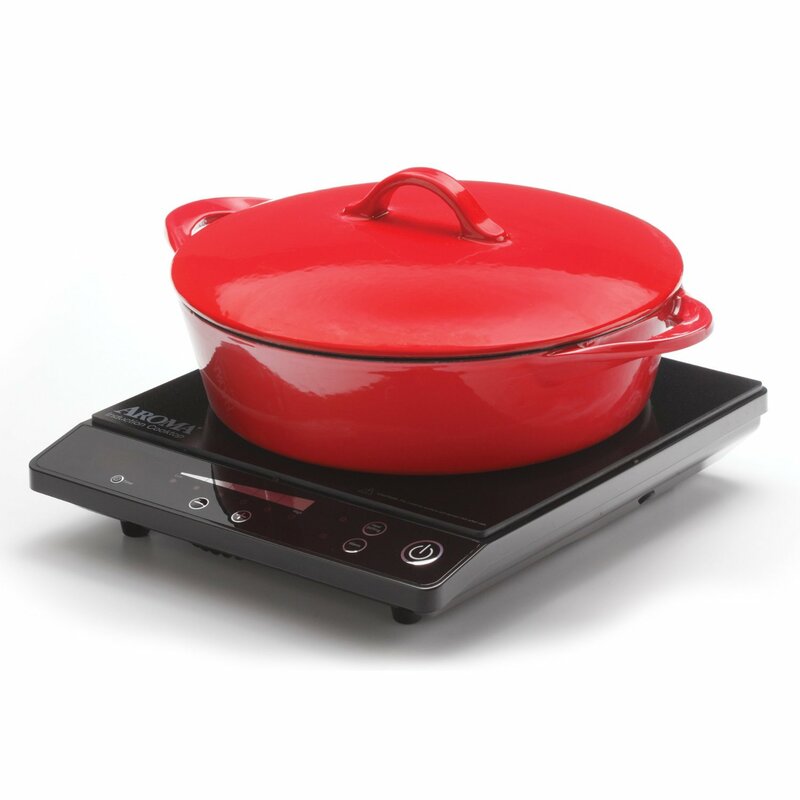 We easily saved enough propane by cooking with our Aroma AID-509 Induction Cooktop to pay for the unit. Even in a house, this would have been great to use at times to add an extra burner, keep food warm on the table, or as a safer alternative to walking away from the gas range while it’s lit. A lot of our friends with children recommend them for teaching their kids to cook a bit more safely. It also heats more evenly and controlled than most gas burners. While the induction technology restricts what cookware you can use, we use our Le Creuset enameled cast iron just fine, and we purchased a couple new induction-friendly stainless steel pans to replace our prior aluminum ones. From Wikipedia: “Transcutaneous electrical nerve stimulation (TENS) is the use of electric current produced by a device to stimulate the nerves for therapeutic purposes.” Fancy definitions aside, we knew from experience that chiropractors and sports medicine specialists (among others) have used these machines (on a much larger scale) for years to help patients, and it feels awesome. Then a year ago, a woman sitting next to us on a plane had one of these tiny devices and offered to let us try it when we complained that our necks were hurting from napping on the long flight..and we were hooked! Like many people, we regularly have sore muscles or joints from driving, working, or repetitive physical movements, and this helps to alleviate pain and loosen up most muscles. 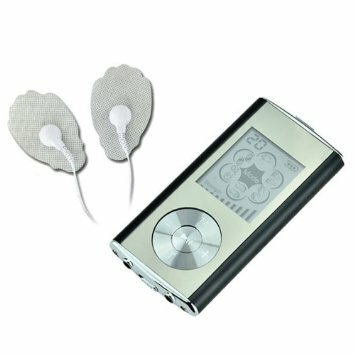 A TENS unit delivers a light current through electrodes to the skin and tissues just beneath it, though the intensity can be set high enough to make a muscle twitch. The device we bought, the TENS Mini Massager , is rechargeable and has a long battery life, is small enough to fit in a pocket, and comes with lots of settings and four electrode pads. This is a rather simple pain therapy option that seems luxurious, but is very affordable and convenient for those of us who can’t see a chiropractor, acupuncturist, or other alternative medicine practitioner regularly. Disclaimer: We are not doctors and can’t give out medical advice – this is just based on our limited personal experience. Be sure to talk to your doctor first if you have any health conditions that may be aggravated by electronic stimulation, and read the manufacturer’s warnings about who shouldn’t use these devices, where not to use it on your body, and other instructions for its use. This is a great post. 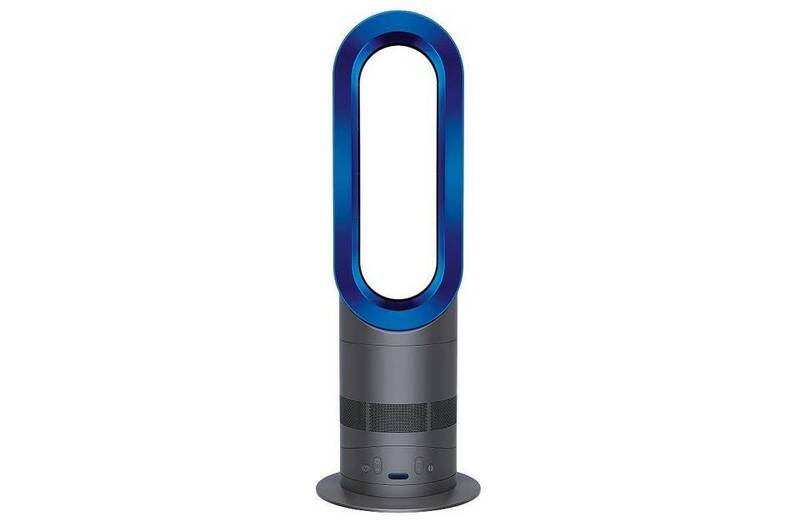 We were just looking at the Dyson heat/cool fan at Best Buy a couple nights ago and wondering about it! Thanks for posting on it! All the other gadgets are awesome too.